Official BSA and basic rules. Download or read to decide what is legal. Below are the official pinewood derby rules I used for our BSA Cub Scout Pack pinewood derby race. 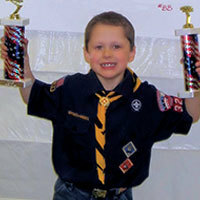 Feel free to use these rules for your Cub Scout pinewood derby or Awana Grand Prix race. Download these Pinewood Derby rules! Are your parts legal in my race? Note that all Pinewood Derby rules are set at the local race level. There are no Official Pinewood Derby Rules that are used nationwide. For our Pack we used a simple, clear set of rules. Other Packs may have elaborate rules. Be sure to read and abide by the rules for your local race. For our Cub Scout Pack races, we inspected each car at weigh-in on race day. The overall length of the car shall not exceed 7 inches. The overall width of the car shall not exceed 2 ¾ inches. The car must have 1 ¾” clearance between the wheels. The car must have 3/8” clearance underneath the body so it does not rub on the track. The car shall not exceed 5.0 ounces. The official race scale that is used at car check-in shall be considered final. The official pine wood block must be used. The block may be shaped in any way that is desired. Official BSA wheels must be used. The wheels may not be cut, drilled, beveled or rounded. You may remove the seams and imperfections from the wheels. Once a car passes inspection and is entered into the race, only race committee members can touch it. If the car loses a wheel, or is otherwise damaged, the racer shall have 5 minutes to make repairs. Each car must pass inspection by the official inspection committee before it will be allowed to compete. The Inspection Committee has the responsibility to disqualify those cars that do not meet these rules. If you have a question about rules, be sure to ask the person running your race because they have the final say about what is and isn't legal for that race. Are Pinewood Pro parts allowed? Are your parts BSA Cub Scouts approved? Understandably, I get these questions all the time. While I can give you a general answer to questions about rules, there are two reasons that nobody can give a definitive answer. Every race has their own unique set of rules. Every race inspector may interpret those rules differently. 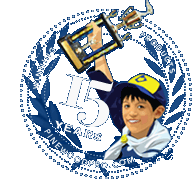 Also, note that pinewood derby races are run by Cub Scouts, Girl Scouts, Boy Scouts, Brownies, Kub Kar, YMCA, Awana, charity fund raisers, adult groups, summer camps, corporate events,etc. They all have their own, unique set of pinewood derby rules! 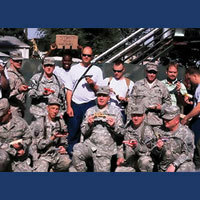 Within those groups, someone will be assigned to "check in" each car to weigh it and inspect it against their rules. Most race inspectors do a quick check, while others are meticulous and thorough. If you are participating in a Disctrict, Councel or multi-state race, assume that your car will be inspected more thoroughly. For example, When I manage races for our local Cub Scout Packs, we just weigh cars and made sure the car didn't exceed the size requirements and look for gross violations, like holes cut in the wheels. Occasionally, a car needs minor adjustments but I never rejected a car. On the other hand, I have heard of race inspectors that check cars with micrometer gauges down to the hundredth of an inch, use special rulers, sizing boxes, etc. You get the idea...every race is different. Bottom line - you need to read the rules for your particular race and, if needed, clarify rules with your race manager. If something is not specifically stated in the rules, it is ok. When in doubt, ask your race manager! Are Pinewood PRO Wheels and Axles Legal? For all the reasons stated above, only you and your race manager can answer that question. If a part states, "BSA" in the title, it is an Official Boy Scouts of America part from the BSA car kit. BSA Polished Axles, for example, are from the Official BSA Cub Scout Grand Prix Pinewood Derby kit. BSA Speed Wheels are also directly from the BSA Cub Scout kit. All of my BSA wheels have all of the BSA markings inside and outside of the wheel, including the beads along the wheel tread. These markings are usually what is required to meet BSA pinewood derby race rules. Graphite-coatings on axles and wheels are legal as long as your race rules allow graphite or dry lubricants. All of our pre-cut derby blocks, car kits and pre-made pinewood derby cars conform to official BSA and Awana car dimensions. Our Awana Wheels were purchased directly from Awana International, and all of the Awana markings remain on the wheel. Follow the rules and may your derby car win! Running a LEGO Derby Car Race? LEGO Derby Rules for your LEGO Derby car race. They are similar, but not the same as pinewood derby rules. Lighter wheels turn easier (they require less inertia). Lighten your wheels, as much as your Rules allow, which will give you a fast start out of the gate and faster speed down the track. 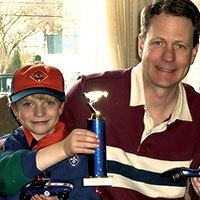 Winning Pinewood Derby Secrets contains all the tips you need to win your race. Updated annually with the latest tips and speed products, our book has proven results with 1000's of winners... but don't take our word for it! Read over 90 Customer Reviews and check out our Winners Gallery!